The driving force behind Bolt, is Andrew Almond. His passion for collaborating on creative endeavours; from creating unique motorcycles to leather jackets, hosting events and building communities of interest – made him the perfect choice to spearhead the custom motorcycle scene at Black Deer. 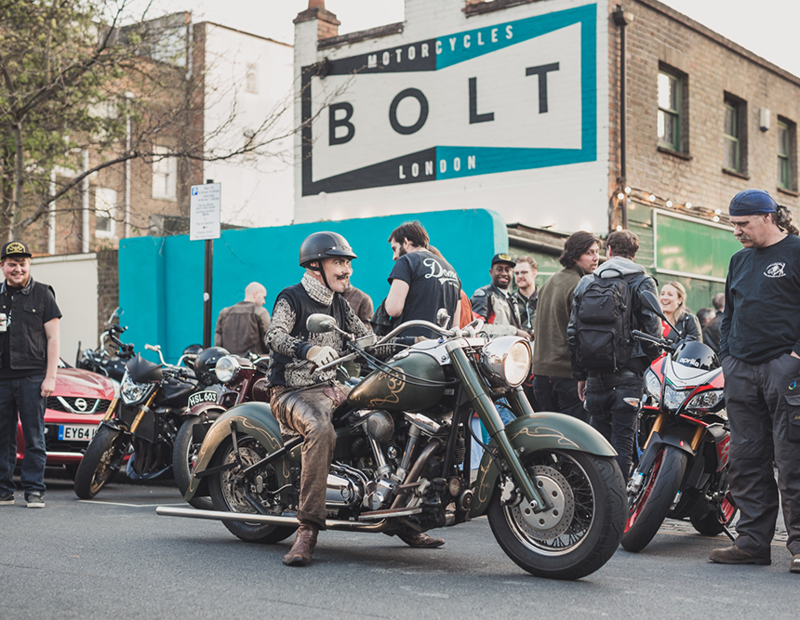 Already hard at work, bringing his amazing ideas to life – with Bolt’s involvement, the custom motorcycles area at Black Deer promises to be a crowd-puller. One that riders, non-riders, and the very young to the very old, will be completely captivated by. We’ll be sharing more on how our custom motorcycle area develops, over the coming months. And you can find some more info about the custom motorcycle area at Black Deer, here.